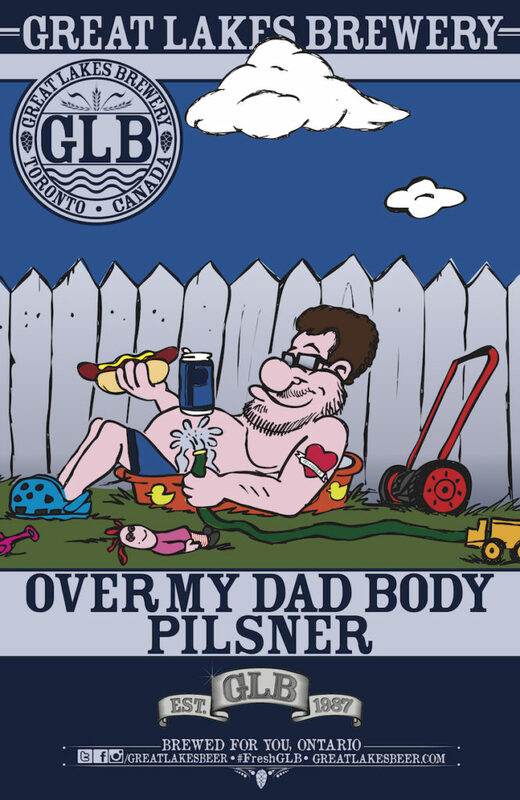 Just like Dad’s favourite playlist, this crisp and clean German style pilsner will have you dancing in your skivvies with each sip. Light and refreshing, yet complex and memorable. Sweetish malt notes up front with some traces of straw, sulphur, grass and lemon are the highlights in both aroma and taste. Lightly hazy body ends with a crisp bittering finish. Let the good times roll. "When I’m not coaching soccer, baseball or table tennis, mowing the lawn or doing home renos…It’s shirts off, crocs on, slather on the SPF 100, fire up the BBQ and crank up the Bob Seger…while lounging in the kiddie pool of course. Yup! Just kickin' back working on the Dad Bod"